So the news is England all rounder Ben Stokes got another demerit point bringing his current total to 3. He got this point after he was heard saying expletives to West Indies batsman Shai Hope who hit for 4 runs. 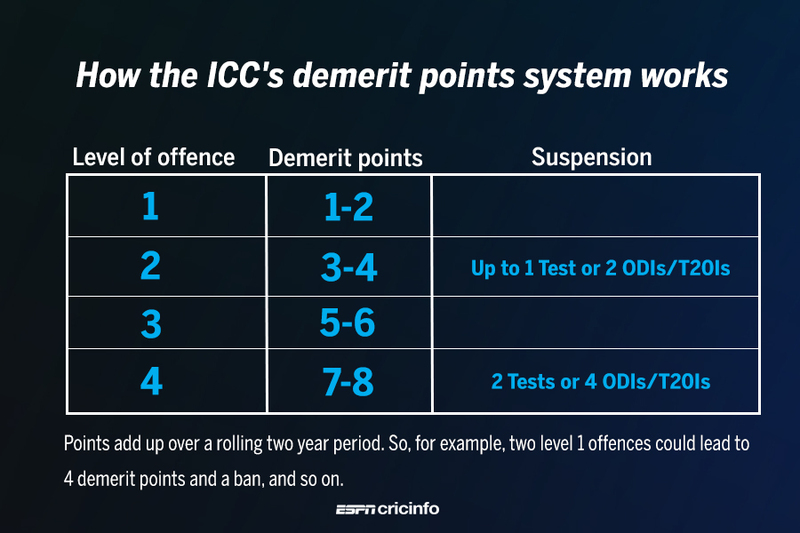 According to ICC rules, if you accumulate 4 demerit points then you face suspension on disciplinary grounds so Stokes is now just 1 point away. He got previous 2 points in October and November 2016. Each demerit point remains on a player's record for 24 months, meaning one more offence before the end of October 2018 will result in suspension for Stokes from one Test or two ODIs or two T20Is, whichever comes first - except in the case of more grave offences, which could attract longer suspensions.